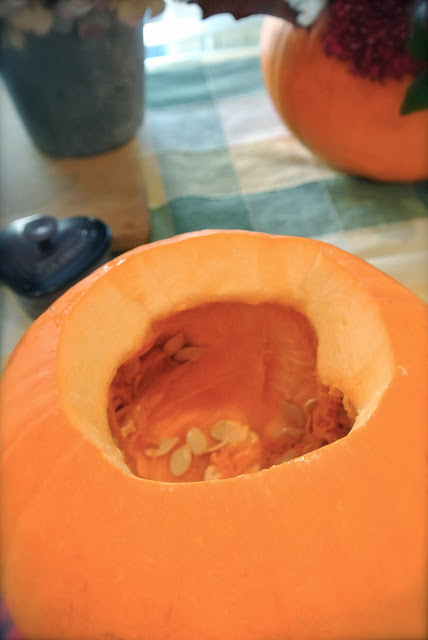 the pumpkin, using a specific pumpkin knife, or a steak knife. you don’t have to separate it all afterwards. the seeds, apparently, which can irritate your tummy. 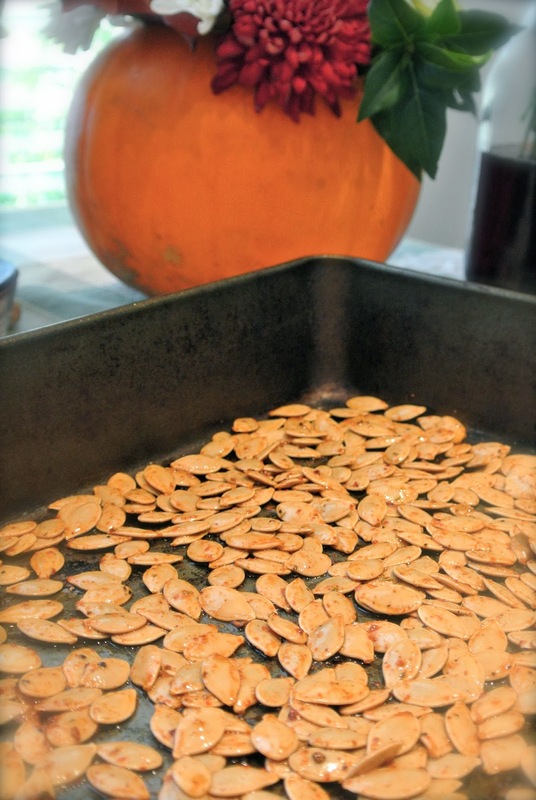 Leave the seeds to soak in salty water for at least 8 hours. I left mine overnight. 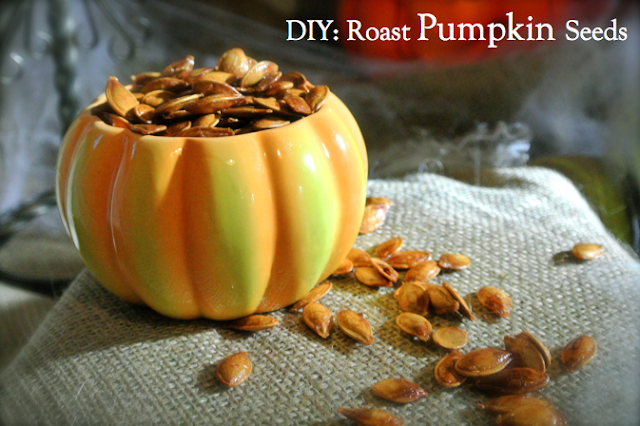 Pour all of the water out of the bowl, and dry the seeds using a paper towel. – Sprinkle the seeds with additional salt. 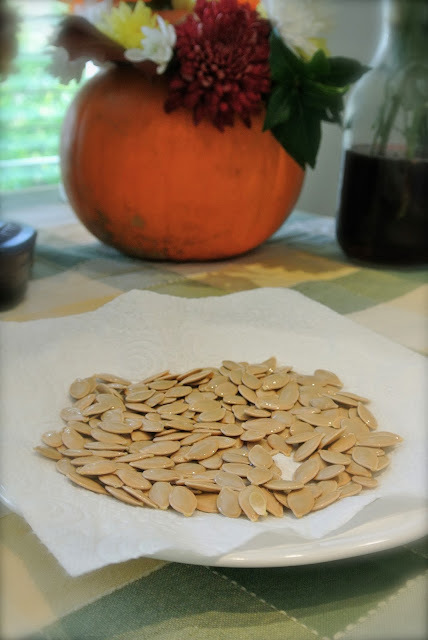 – Toss every cup of seeds with a tablespoon of vegetable oil, or olive oil. This helps additional seasonings to stick. – You can also substitute melted butter for the oil. – For sweet seeds, season with sugar, cinnamon and nutmeg. 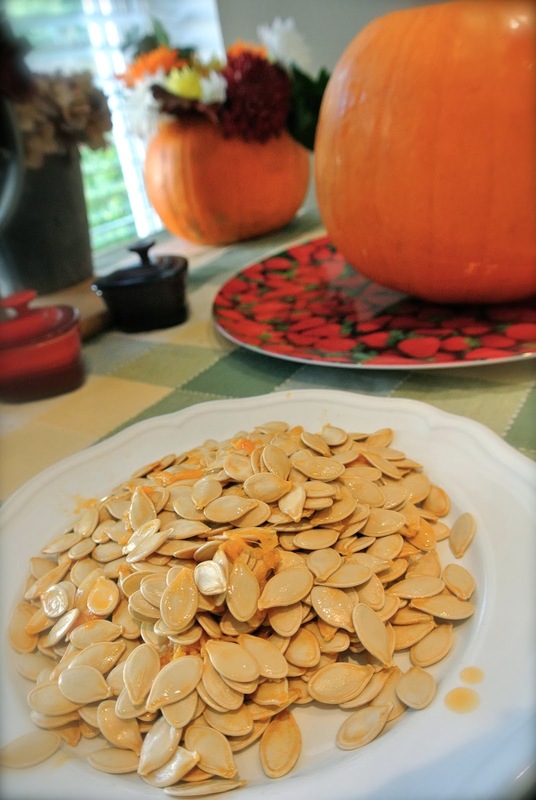 – Toss the seeds in a hot sauce, or soy sauce or Worcester sauce. – For spicy seeds, use powder seasoning like Cajun Spice. shake the tray so that there is only one layer of seeds. minutes until they are brown and crispy. 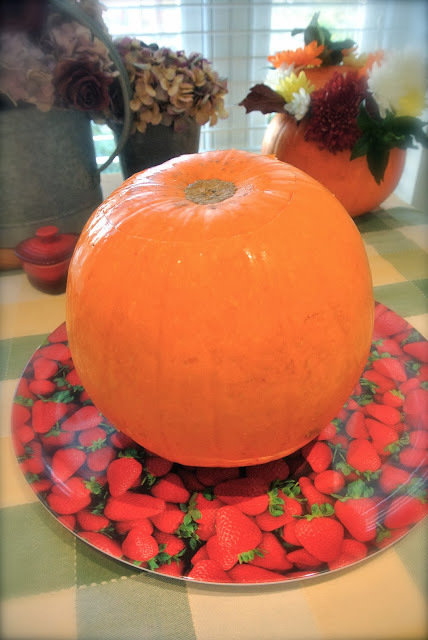 This recipe is so quick and simple, you can have them baking while you carve your pumpkins, so that you have a tasty snack when you are finished! There are loads of variations – have you discovered something delicious? Let me know!